Fresh air, mountain views, hiking trails, remote beaches and gasp — limited Wi-Fi — are the makings for a perfect wilderness family vacation. It’s a chance to truly unplug and be one with nature — and the family. If you’re searching for a wilderness family vacation, these remote destinations will do the trick. 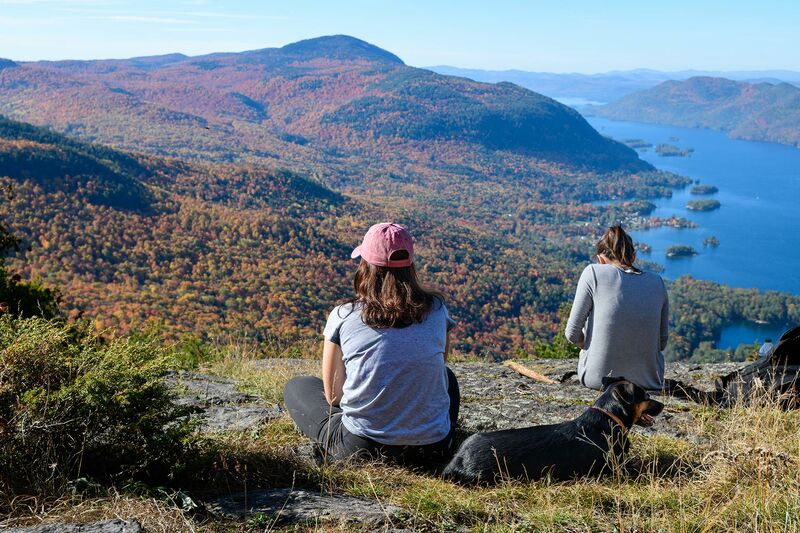 Nestled in northeastern New York, the Adirondack Mountains offer families countless opportunities to enjoy a vacation in the wilderness. Much of the fun centers around the town of Lake Placid, where the Winter Olympics were hosted in 1980. Outdoor fun includes skiing at Whiteface Mountain, water sports on Lake George, riding the Adirondack Scenic Railroad and visits to Mirror Lake. About 90 minutes outside of Denver, Estes Park, Colorado, is the adorable, remote town at the foothills of Rocky Mountain National Park. Stay in town – where you’ll be surrounded by wild elk – and take the “Road to the Sky” in the Rocky Mountains for incredible views, hiking, picnics and more wildlife sightings. Estes Park is also home to The Stanley Hotel, the haunted hotel that inspired Stephen King to write “The Shining.” Yes, that’s how remote this little town is, making it perfect for a family vacation in the wilderness. 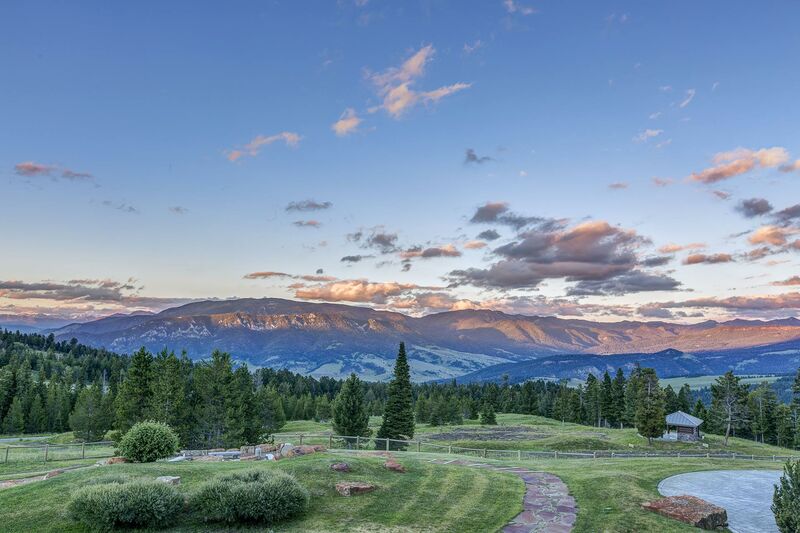 The epitome of a wilderness family vacation destination, Big Sky Country in Montana is the complete opposite of urban chaos. The calm, open land brings instant serenity. The mountain air will refresh the whole family while the ski slopes and hiking trails will invigorate everyone’s mood. There are miles upon miles of trails to explore. Plus, Yellowstone National Park is less than 20 miles from Big Sky, on the Montana-Wyoming border. Seeing buffalo, elk, moose and tons of wildlife is part of the fun, too. St. John is the most remote of the U.S. Virgin Islands, with two-thirds of the small island preserved by the National Park Service. Environmentalist Laurence Rockefeller donated most of the land in order to protect it from developers many years ago. Now, some of the most pristine beaches and reefs can be found on St. John. 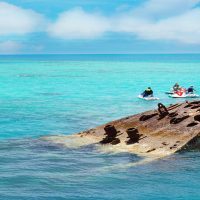 Families can spend their vacation snorkeling, exploring the coral reefs and coastline, and hiking the beaches and trails under the warm island sun. St. John has two major resorts, and camping is very popular here, too. 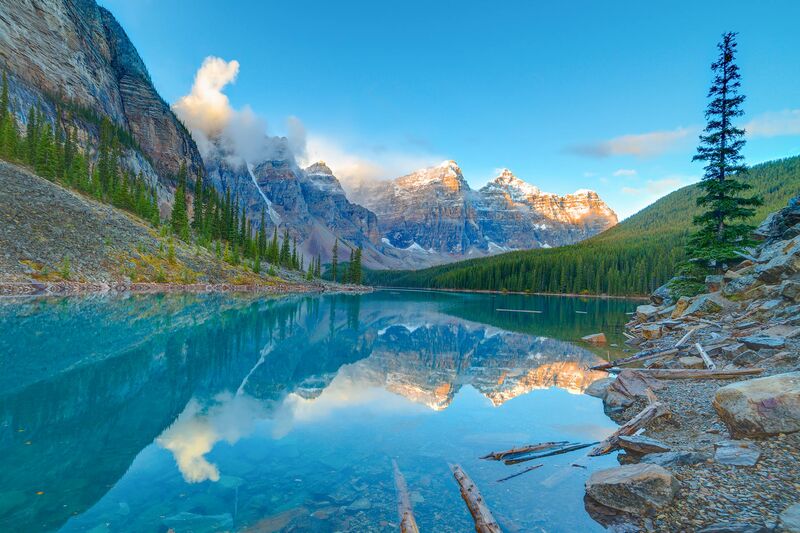 Located in Alberta’s Canadian Rocky Mountains, Banff National Park is so gorgeous it will make your family one with nature immediately upon arrival. It’s hard to say whether summer or winter is the best time to visit because both the warm and cold seasons make for a great wilderness family vacation. The green mountains (still with some snowcapped peaks) and glacier-blue lakes (don’t miss Moraine Lake) and rivers offer families hiking and canoeing opportunities in the summer. But in the winter, the snow-covered mountains sparkle and offer great skiing, and the frozen lakes still bring fun with ice skating and ice fishing. With limited light pollution, the night sky and thousands of visible stars in Bryce Canyon is something spectacular for your family to see. The thin mountain air makes the stars more visible to the naked eye, but if you bring along a telescope, the sights will be out of this world. Families can take full moon hikes in Bryce Canyon, available twice a month, or learn more about the sky from a park ranger who focuses on astronomy. But this wilderness family vacation destination is just as cool in the daylight, too. The red and orange rock formations, called “hoodoos,” point high into the sky and can be seen for miles. 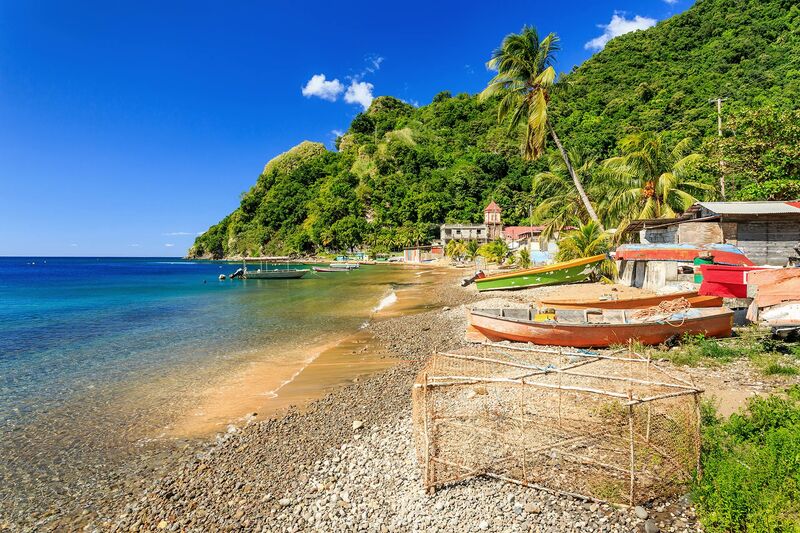 Considered the “Nature Island of the Caribbean,” Dominica is a mountainous island with tropical rainforests filled with wildlife and hot springs. Families will love to explore Boiling Lake, the world’s second-largest hot spring, and dive or snorkel to see the colorful coral reefs in the Caribbean Sea. Families will not find all-inclusive resorts on Dominica, so be prepared to “rough it” in a beautiful beachfront boutique hotel instead. Mount Rushmore – the awe of the mountainside granite carvings is reason enough to visit Black Hills, South Dakota, on a wilderness family vacation. But a road trip along the scenic Needles Highway will give families plenty more to see and do. Rocky landscapes, bridges and one-vehicle tunnels will make the drive interesting, and you will want to stop along the way to watch goats or bison cross the road, or explore a trail or cave. Close to several ski resorts, including Killington and Suicide Six, Woodstock is a quiet, charming town in the woods of Vermont. Families enjoy hiking along the Ottaquechee River and visits to local farms, including Sugarbush and Billings Farm and Museum. There, you’ll find farm animals and the area’s famous delicacies: cheese and maple syrup. 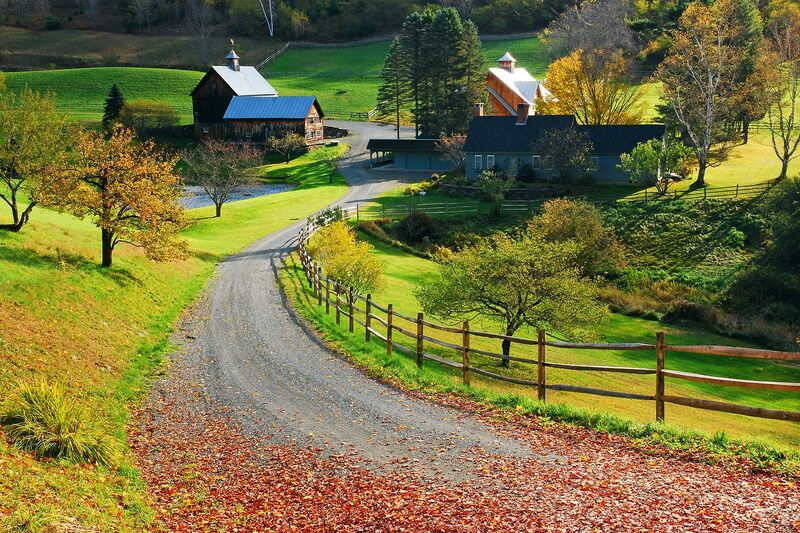 Situated in the western mountains of Massachusetts, The Berkshires offers families quintessential New England charm year-round, especially during the fall. Families can go kayaking in the river, hiking or horseback riding along the tree-lined trails, or zip-lining. Skiing is especially popular in the Berkshires, with well-known resorts including Jiminy Peak, Butternut and Catamount.